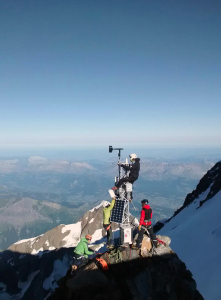 System Integrator, Hortus Srl recently installed a Campbell Scientific datalogger based Automatic Weather Station (AWS) just below the summit of Mt Blanc, making it Europe's highest weather station. They have released a video of the dramatic installation in the extremely challenging mountainous environment. We also have a case study about this installation.